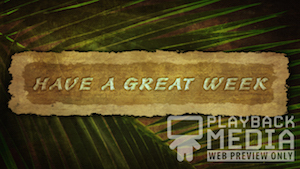 A tattered piece of parchment with the words “Have a great week” rolls out over a palm frond. Very subtle light and dust particles also float over background. 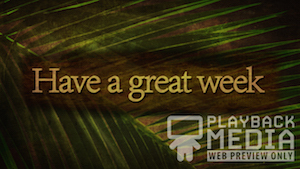 This is part of a pack called Ancient Palm.